Bethesda Women’s Health Center provides comprehensive diagnostic services for both women and men, with state-of-the-art technology and a caring, compassionate staff. In addition, our Nurse Practitioners, Jessica McAfee, MSN, APRN, FNP-BC and Dawn Blackshear, MSN, APRN, FNP-BC are available for clinical breast examinations as well as genetic testing and cancer risk assessment. 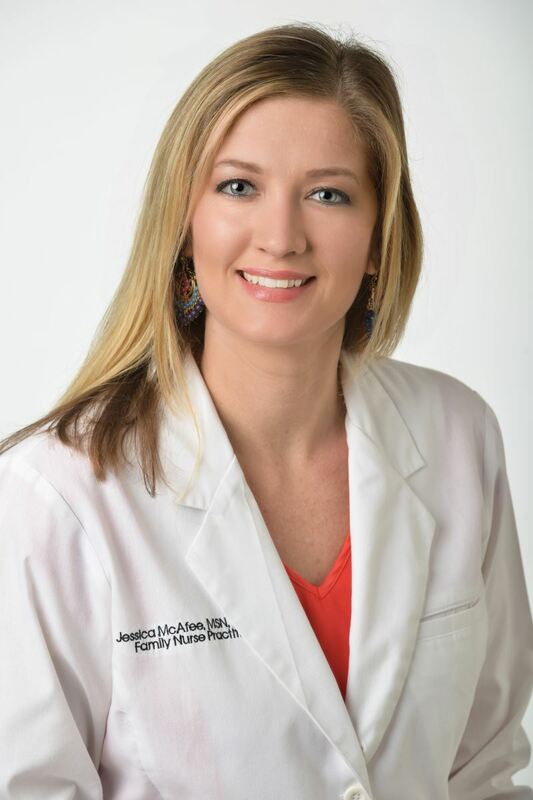 Jessica McAfee, MSN, APRN, FNP-BC is a Board Certified Nurse Practitioner. In her role at Bethesda Women’s Health Center, McAfee helps patients understand their risk factors for cancer and develops a personalized medical management plan for staying healthy. As a Certified MammaCare® Clinical Breast Examiner, McAfee has the ability to perform standardized breast examinations and the skills to detect breast lesions. McAfee earned a Bachelor’s degree in nursing from Florida State University in 2003 and a Master’s degree in nursing from Florida Atlantic University in 2009. She is a Board Certified Family Nurse Practitioner by the American Nursing Credentialing Center (ANCC). A Board Certified Family Nurse Practitioner with Bethesda Women's Health Center, Dawn Blackshear, APRN, educates and counsels patients at high-risk for hereditary cancers including breast, ovarian, colorectal and other common cancers. She also provides patients with information regading surveillance strategies and reducing risk factors. As part of Bethesda's team of breast health specialists, she is dedicated to providing compassionate, comprehensive care. 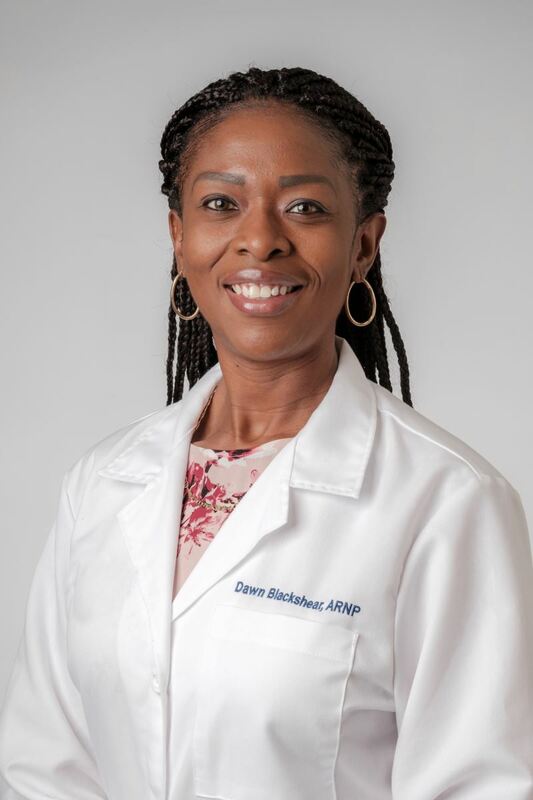 Blackshear earned her Bachelor's Degree in Nursing from South University in Royal Palm Beach, Florida in 2010, as well as her Master's of Science in Nursing Degree, enabling her to become a Family Nurse Practitioner in 2017. Prior to joining Bethesda Women's Health Center, Blackshear worked in both Interventional Radiology and Pain Management as a Nurse Practitioner. Patients with a strong family or personal history of breast cancer can benefit from genetic counseling and testing for Breast and Ovarian Cancer Syndrome (BRCA1&2). It can also help patients with cancer evaluate treatment options based on their risk of recurrence. Appropriate medical management such as increased monitoring and prevention strategies can be implemented as recommended. Patients may also utilize Myriad Genetics' Family History Tool to assess whether or not they are a good candidate for genetic testing. This tool can help you get the information you need to discuss your risk of cancer with your healthcare provider and ask for further evaluation. If you have any questions regarding genetic counseling or testing, please call 561-374-5473. Our nurse practitioners are certified MammaCare Clinical Breast Examiners. They specialize in Breast health providing patients with comprehensive clinical breast examination, breast awareness education, and breast cancer risk assessments. To schedule an appointment with Jessica McAfee or Dawn Blackshear, please call 561-374-5700.